Happy New Year to you from the team at Woman! We hope you’ve had a wonderful festive holiday. At this time of year it’s customary to reflect on the past twelve months, and work out how you’re going to achieve your goals in the year ahead. It’s common to make goals around health and fitness, but let’s think about looking after the largest organ you have… Your skin! 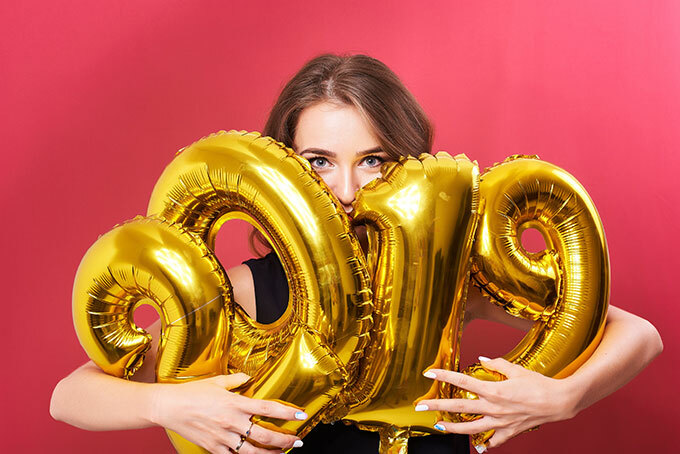 We thought it might be timely to share some skincare New Year resolutions that will help you glow with vitality in 2019! It’s important to factor quality ‘facial’ sunscreen into your daily skincare routine. Ultraceuticals UV Protective Daily Moisturiser Range are the perfect way to stay protected every day. Drinking plenty of water will flush out toxins, giving you a healthy glow. Your skin will feel plumper and softer. Remember to include plenty of hydrating foods in your diet too. Watermelon, cucumber, berries and green leaves can all help to increase levels of hydration. Sounds simple… But how about if you’ve not worn a scrap of makeup all day? The answer is ‘yes’! Even if you’ve had your weekend fresh face on. The importance of your cleansing routine can never be underestimated. It’s not just about removing makeup. You come face to face (pun intended) with tiny particles of pollutants all day, evey day! And when it comes to cleaning, don’t forget your makeup brushes. These babies can become hotbeds for gunk and bacteria, so treat them well and give them some regular maintenance. A regular skincare cleansing routine is a good start, but as your skin changes from season to season you might need a little extra help to really get your glow on! At Woman we specialise and are trained in advanced skincare facials. We will give you honest advice and outstanding service with successful results. Check out our full range of facials HERE. Mineral makeups are made from pure, crushed minerals and other natural components. So they don’t contain any nasty ingredients or toxic chemicals that are often the norm in other standard makeup ranges. This means they are gentler on your skin and won’t clog your pores or cause breakouts. At Woman we’re proud to be exclusive Nelson stockist for leading mineral makeup brand, Jane Iredale. Call in and talk to us about your skincare New Year resolutions! 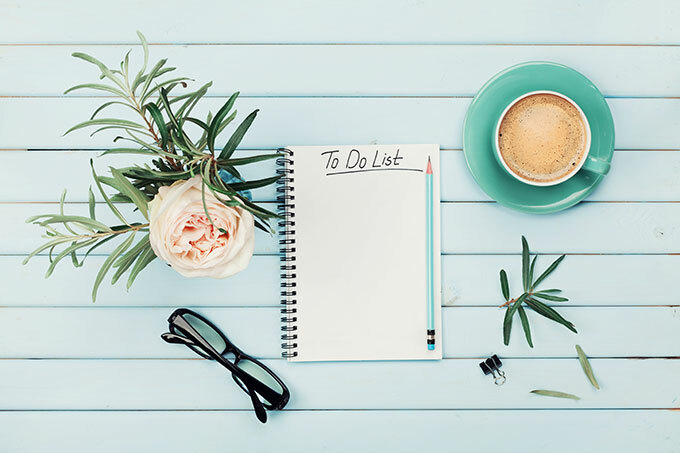 Here at Woman Beauty Nelson, we’re rather fond of a checklist… Checklists help us stay on track so we can provide you with the excellent service we’re known for. But who’d have thought that checklists have their own celebratory day? It’s true! 30th October is official ‘Checklist Day’… So, to celebrate we thought we’d publish your spring beauty checklist. A change of season means it’s time for fresh, clear complexions. Our Advanced Facial Therapies will help you put your best face forward. Our much-loved O2 facial is a firm favourite and provides instant results you can see and feel. Those layers are coming off. So, if you’ve been leaving it a little longer between wax appointments, now is the time to recommence your regular bookings. Once you’ve smoothed things out a bit, you’re ready to bare your limbs. Or are you? Why not make an entrance with a golden glow. A Sunescape spray tan will give you a feel-good boost for spring. It’s time to say goodbye to your winter boots and reach for your jandals. Your feet have probably been cooped up in their winter layers for a few months. So why not give them a little TLC before the big reveal! Our popular Soul to Sole is the ultimate treat for feet. Spring is the time to lighten and brighten things up. And that includes your makeup bag. So give it a spring clean and lighten it up by getting rid of all those dried up tubes and palettes. And brighten it up with a pop of colour. The new seasonal range of Jane Iredale mineral makeup is available at Woman Beauty Nelson. And if this spring beauty checklist hasn’t been enough reading, you might want to pop over and read this article for some spring makeup trends. We can’t wait to help you complete your spring beauty checklist. Call 03 548 0030 for bookings. Spring clean your makeup pouch in Nelson! Spring has arrived in Nelson, which means it’s time to clear out your makeup pouch and make way for new season colours. Spring is the time to lighten and brighten things up. As you reach for your pastel-hued tops or bright neon jewellery you should also be thinking about updating your makeup palette. We have a range of Jane Iredale pure mineral foundations that help create a radiant, soft-focus effect. Update your foundation seasonally as your skin tone and texture will change. Pastels are always in fashion for spring. Get fresh-faced with a little rose-tinted blush for a healthy radiance. Kiss goodbye to your darker berry shades and say hello to tropical fruits! Mango and watermelon flavours are spring and summer hits. Keep your lips soft and smooth with Jane Iredale hydrating, vitamin-rich lip colours. From stains to glosses, to good old-fashioned bullet lipsticks, we have your full-lipped favourites! Yes, we know you wear your sunnies most of the time, but sometimes you’ll want to enjoy the untinted view… So make sure you’re dressed for the occasion. The hottest eye makeup trends on the runway were bright colours, think yellow and azure blue! But if that’s not your thing, you can’t go wrong with warm browns and shimmery peaches. Nothing says spring quite like that naturally dewy glow. We love Jane Iredale Hydration Sprays, they lift our spirits and set our makeup the day. Perfect to slip in your handbag, if you’re heading for drinks after work they’ll freshen your face up in a spritz! As you head into the summer party season add some razzle-dazzle to your Nelson evening… We love the Jane Iredale 24-Karat Gold Dust. For a shimmering, ethereal look, sweep it across cheeks, eyes, lips and even your décolletage. You can even blend it into your favourite hair product for glittering up-do. At Woman Beauty Nelson, we’re proud to be the Nelson stockist of the beautiful range of Jane Iredale mineral makeup. Join us for our upcoming Jane Iredale event on Wednesday 24th October. We have appointments throughout the day with makeup artist Melanie McConnell, and our very own Hayley & Georgia, so you can perfect your spring makeup. Your booking fee ($40) is redeemable against any Jane Iredale products purchased on the day. Contact us to book your space, as these days sell out fast! Beauty treatments in Nelson – Winter’s most wanted! Winter is here and with that comes the desire to rug up and enter hibernation mode. For some, that means an excuse to ease up on essential body maintenance, although that’s not a course we’d recommend… If you let that fuzz run free as temperatures freeze, you’ll find it harder to take back control in springtime. In honour of cooler temperatures, we thought we’d share some of winter’s most wanted beauty treatments. Let’s get warmed up – A massage is a perfect way to warm up in winter. For extra toastiness try the Aromastone Massage, this blissful head to toe spa treatment uses hot stones and essential oils. Buy yours here. Saving face – Your skin receives no let-up from the harsh UV rays over winter, especially in beautiful Nelson where we still have bright sunny days during the cooler months. Add to this the drying effect of wind and the lack of humidity, and your skin can become dry, red, irritated, and lacklustre. Facials are popular beauty treatments all year round, but if you want to feel like you’ve managed a winter escape, try the Pure Fiji Island Facial. We’ll take you on a journey with an ancient blend of powerful plant actives and exotic drift nut oils combined with the latest in dermatological revelations, producing phenomenal targeted facial care solutions. Buy yours here. Get your glow on – Heading to a special mid-winter event in your cocktail frock? Then make sure your skin shimmers with a Sunescape Spray Tan. This beautiful natural looking tan has no harmful chemicals and is available in light, medium and dark. Spray tans are great winter beauty treatments for a quick pick me up! Buy yours here. Who’s looking at you baby – If you’re wrapped in merino from torso to toes… Make your peepers work for you! Our eyebrow and eyelash tinting and taming services are a great way to help frame your face. These beauty treatments are a must all year round! Buy yours here. Ask us to help you select your new Jane Iredale mineral makeup for eyes. The autumn and winter range is stunning, we can make your eyes pop with beautiful colours, or we can show you how to create sultry smoky eyes. Autumn – Let’s kiss and makeup with Jane Iredale! Autumn is here, which means it’s time to clear out your makeup pouch and make way for new season colours. We’re proud to be the Nelson stockist of the beautiful range of Jane Iredale mineral makeup and can help you select the perfect shades for your new season look. Mineral makeups are made from pure, crushed minerals and other natural components. So they don’t contain any nasty ingredients or toxic chemicals that are often the norm in other standard makeup ranges. You may have spent the summer carrying around your bronzing pallet to give you the beach babe look, without exposure to harmful UV rays, but as we head into the cooler climes of Autumn your skin texture and tone naturally changes, and so too should your makeup selection. Rosy Glow – Your grandma would tell you rosy cheeks are a sign of good health, but they just got super fashionable! A natural rosy glow is the perfect complexion selection throughout autumn and winter. Berrylicious Lips – Swap your summer nudes for deeper, warmer colours over the autumn and winter seasons. Red lipstick is always a classic, but if you’re going for a bold lip colour in the daytime, keep everything else as natural as possible. A Twinkle In Your Eyes – Brighten up a dull autumn day with a little sparkle of your own. A rose gold or classic gold shimmer eyeshadow is the perfect way to update a subtle smoky eye. Some Things Never Go Out Of Fashion – Natural-looking beauty and glowing skin are always on trend, and regular facials will ensure you have the perfect canvas for your autumn makeup palette. Check out our Advanced Signature Facial, with Free Gift Autumn Special. Don’t make the mistake of thinking natural means poorly maintained! Starting with an eyelash, eyebrow tint and tidy is a great way to frame your autumn makeup look. Buy yours HERE. Want to update your makeup pouch? Call in and see us, foundation colour match and advice is always complimentary at Woman! Heading to Nelson beaches? Pack these beauty tips! The holidays may be over for some of you, but summer is still here. There will be plenty of days to head to one of the many beautiful Nelson beaches so we thought we’d share some of our top beauty tips to pack in your beach tote. Fake it first – If your Christmas holiday glow has faded, you might want to top up your tan before you slip into your togs. Our summer seasonal specials continue to run until the end of February, so take advantage of our two for one Sunescape Spray Tanning offer before you head to one of our Nelson beaches. Sunescape Spray Tans are usually, $60 each, buddy up with your bestie and you both get a tan, but you’ll only get charged for one! Buy yours here. But don’t forget your sunscreen – A fake bake is no protection from the sun’s damaging UV rays. The secret to enjoying our Nelson beaches is to be sun smart, that way you won’t end up with lasting sun damage as a beach souvenir. The Ultraceuticals SunActive range was formulated to provide very high sun protection against one of the harshest climates in the world. Can’t bear to be bare-faced at the beach? Then slip an Ultraceuticals UV Protective Daily Moisturiser SPF 30 Sheer Tint in your tote. This broad spectrum SPF 30 daily moisturiser (free of nanoparticles) offers triple skin protection with a hint of colour. If you want a little more coverage, but still want to keep your beach look natural, come in and talk to us about the Jane Iredale mineral makeup range, our team can offer you makeup advice as well as beauty tips. Calm yourself – Even the most dedicated slip, slop, slap enthusiast will admit to the odd occasion where they have missed a patch of skin with sunblock. If this happens to you, be sure to keep a handy spray bottle of Pure Fiji Dilo Rescue range. This product can help to soothe, nourish and replenish skin. Plan if you can – Everybody loves an impromptu beach trip, but like a good girl scout always be prepared. Keep your waxing regime up to date, that way you won’t be tempted to reach for the razor because shaving right before you head to the beach is a rash waiting to happen! 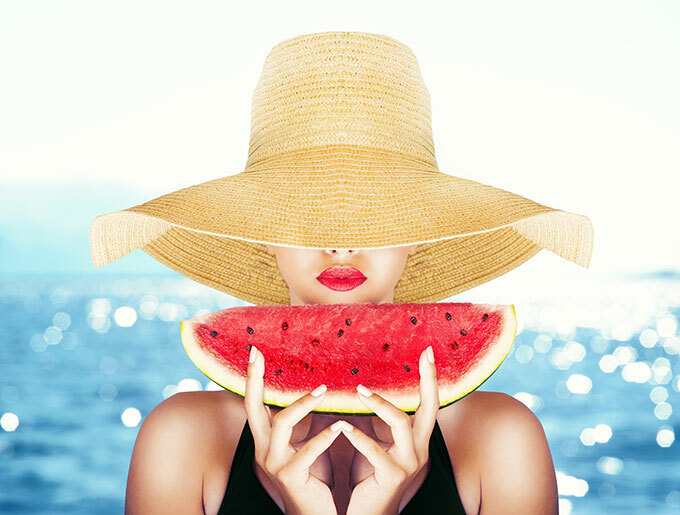 We also recommend that you don’t go to the beach straight after your waxing appointment, your skin needs to calm, so if you’re a real beach babe, think about making your wax appointments in the evening through the summer months, that way you’ll be able to play during the day! Make the most of your pedicure – You might love the feeling of sand between your toes, but sadly it can also play havoc with your beautifully painted toes. So, summer is a great time to splurge a little extra on your pedi. Upgrade to a Shellac finish for just $25; it’s definitely worth the investment! Remember if you need any more beach beauty tips or product advice, call in to see the team at Woman Beauty. Perfect Party Eyes! At Woman Beauty Nelson. It’s summer and Christmas is fast approaching which means one thing – party season! At Woman Beauty Day Spa we’re here to ensure perfect party eyes have you red-carpet ready; whether you’re off to a glitzy Nelson event or a barbecue with friends. So, don’t hide your eyes… Visit us to perfect your brows, maximize the impact of your lashes and learn how to use make-up to create the party look you would like. Brows that WOW and luscious lashes! Professional brow and lash tinting will add depth and colour to your eyes – say adios to light, feathery eyebrows and spindly eyelashes. Tinting treatments are ideal for the summer party season if you prefer a more natural look; and unlike some pencils and mascaras, tint won’t wash off after a swim! Your eyebrows frame your face, and having them professionally shaped and tidied will enhance your cheekbones and open up your eyes. Let our professional beauty therapists give you peepers to be proud of with our Eyelash and Eyebrow Tint and Tidy – book yours here! Parties are the ideal opportunity to step up the glamour a little (or a lot! ), so why not combine your preparation for the big night with the chance to update your make up look. Here at Woman Beauty Spa, we are proud to offer you Jane Iredale make up – this high-performing mineral cosmetics range provides effective skincare benefits with modern, wearable color and a soft-focus, luminous effect that brings your natural beauty to light. Come and see our experienced therapists for advice on perfect party eyes make-up that will last long after the party itself. You will feel a million dollars on the night and our therapists can give you some valuable tips and lessons to ensure you stay looking – and feeling – a million dollars throughout the festive season. Find out more here. Spring beauty tips – Nelson shines! 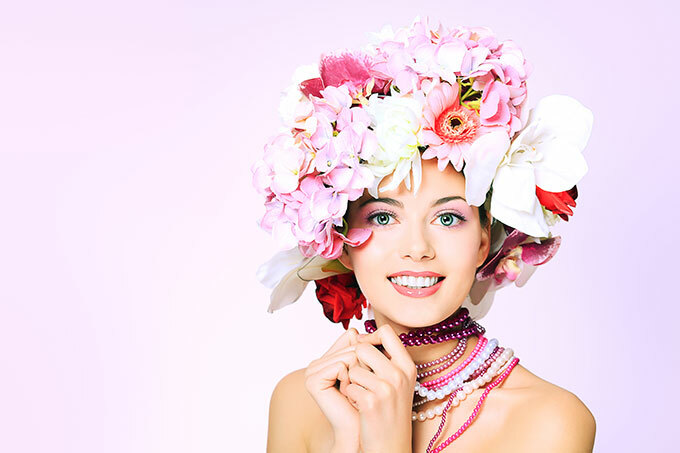 Spring has arrived in Nelson, and that can mean just one thing it’s time for some spring beauty tips. If you’ve been hibernating over the winter months, it’s time to shed those layers. 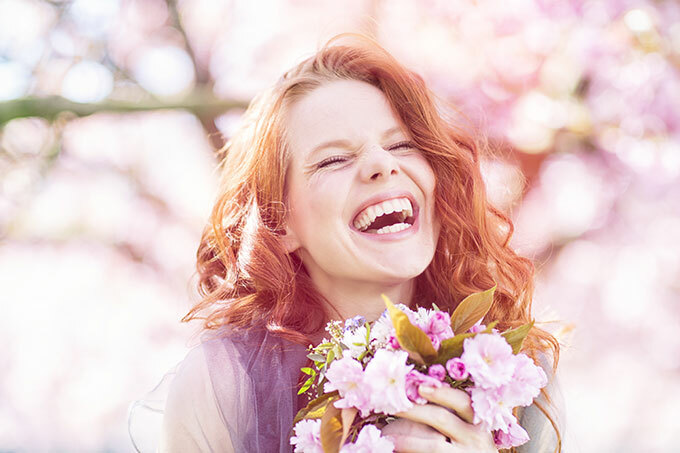 Here are 5 spring beauty tips to help you get ready to bare your limbs! Fight the fuzz – If you’ve let things grow a little whilst you’ve been shrowded in your winter warmers, then it’s time to get things waxed. But there’s good news! Because during winter, your skin won’t have been exposed to harsh outside factors like sun and chlorine, any redness and/or sensitivity will be minimised, and your skin will recover more quickly from any hair removal treatment. Check out the waxing menu here. Get a glow – Everybody feels better with a bit of bronze… So why not get a fake tan as you start to bare your limbs. At Woman Beauty in Nelson we offer two treatment options. Spray Tan – A beautiful natural looking tan without harmful chemicals. Or Body Scrub & Spray Tan – A full body exfoliation washed away with vichy jets then a spray tan – leaves you with a very sunny complexion and a mood to match. Find both here. Put your feet first – A perfect pedi and pretty toes should be on the agenda as you reach to the back of the closet for your summer sandals! 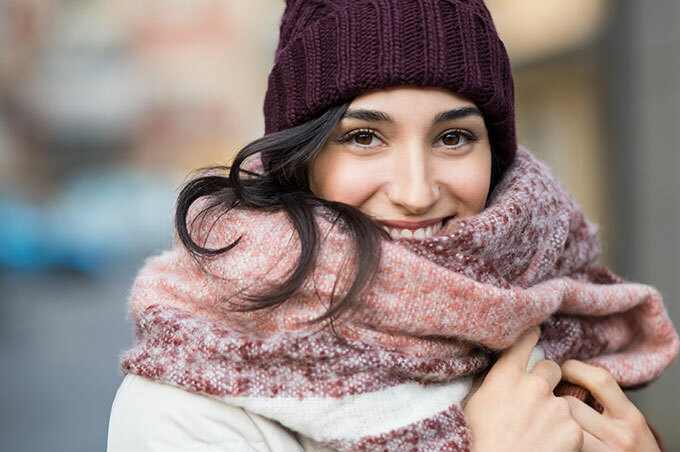 Switch up your skin routine – Winter can be harsh on your skin. So start the repair of your skin with a facial. There are lots to choose from here, but if you need help selecting the right one, just give us a call or pop in to reception for some advice. Once you’ve given your skin a new lease of life with your chosen facial, keep up the good work with the right products. At Woman Beauty Nelson, we offer a select range of effective, quality skin care brands and products. Take advantage of our free skin care analysis and purchase products that best suit your skin type. Choose a spring palette – Choose a bright new lippy for a bright new season. We’re proud to be the Nelson stockist of the beautiful range of Jane Iredale mineral makeup. Talk to Demi our Makeup Artist about the perfect shade for you! If you’re inspired by our spring beauty tips and would like to touch up your toes and show your skin some love in time for the warmer weather check out this month’s Grab A Treat! Enjoy a foot soak and mini pedicure – Shellac application additional $25. Experience Ultraceuticals as you enjoy a luxury signature facial tailored to target your individual skin concerns. Compliment your fresh face by enhancing your eyes with an eyelash and eyebrow tint and tidy. Complete the treat from head to toe by enjoying a heavenly head massage. All for just $125, (regular price $210). Buy yours here!